Known for its creative excellence, responsive service and expertise in design-build services, Skycastle Construction is an award winning design-build general contracting company that works in partnership with Rodwin Architecture, a complete architectural, interior and landscape design firm. Serving the greater Boulder, Colorado, and Rocky Mountain region with an integrated staff, Rodwin Architecture and Skycastle are leading the residential construction industry into the future of sustainability with the innovative design and construction of custom green homes. The Gunang Mas Ranch included energy efficiency features such as a home energy rating system (HERS) score of 40, which was 60 percent less energy than code; “tuned” Energy Star windows; foam insulation; solar photovoltaic panels; 95 percent LED fixtures and natural daylight and ventilation in all rooms. A personal favorite project of Rodwin’s is the Farmhouse that Skycastle recently completed in Boulder. Producing more energy than it consumes, this LEED-Platinum certified modern farmhouse is the company’s first regenerative home. When the owners approached Skycastle asking for a modern interpretation of a traditional farmhouse, Rodwin and his team holistically integrated the owners’ passion for sustainability with a livable, functional and replicable single-family home. The work and innovation that Skycastle and Rodwin Architecture are contributing to sustainability in the construction industry has not gone unnoticed. 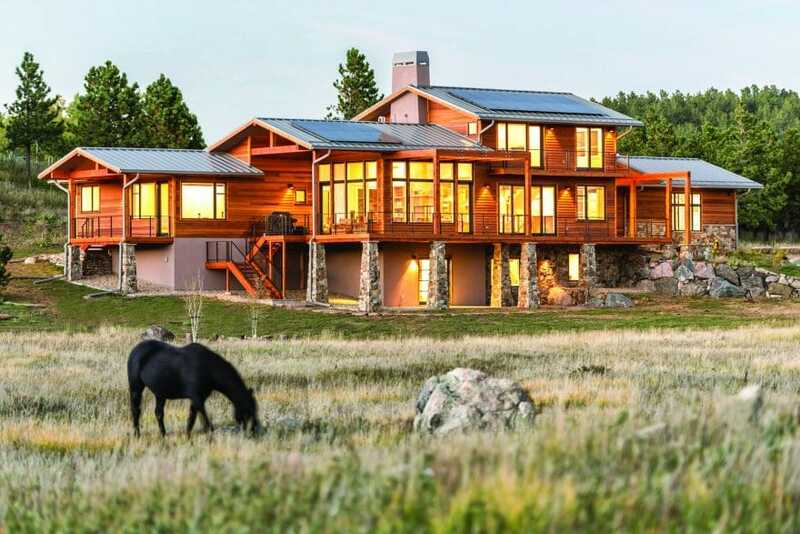 Both companies have received numerous awards including Green Home of the Year by the Home Builders Association of Colorado, Eco Hero Award by Boulder County Business Report, and Top Mountain Architect by Mountain Living Magazine. With a passion for green building and innovating design-build techniques, Skycastle Construction and Rodwin Architecture will continue to raise the bar by building green homes without compromising the beauty of aesthetic design.